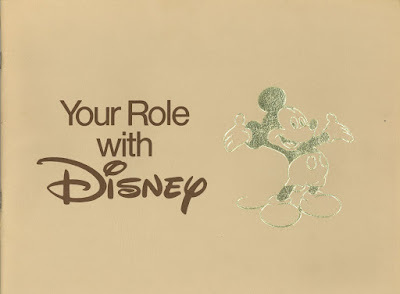 From Friday's post, here is the complete "Your Role with Disney" 24 page brochure from 1977. 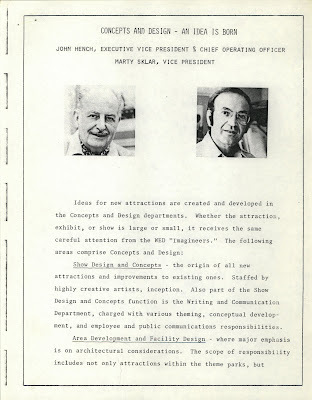 Here are few of the pages, lots of great stuff in here. 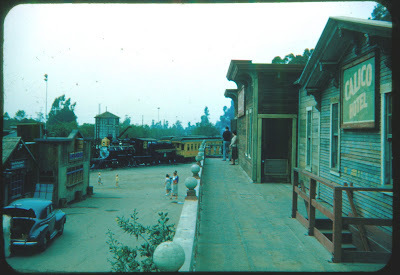 Knott's Berry Farm Train - February 1961 and ??? 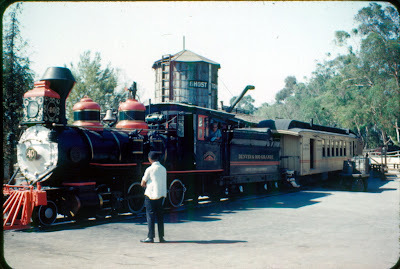 A quick follow-up post to Majors great Knott's post on Wednesday (link) here's the Knott's train again in all its glory from February 1961. I guess there must have been (still are?) two trains at Knott's since my 1961 Photo is of engine #40 and Major's 1963 photo is of engine #41. 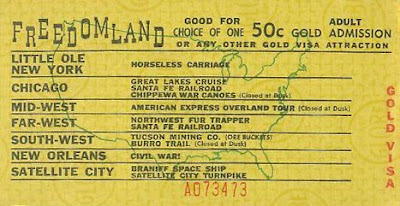 This slide of the train is undated but is handwritten "54 Trip", its also one of those slides that "glass" so its was hard to scan with any clarity. Nice car parked in Ghost town! 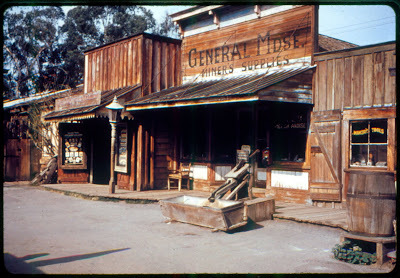 And just for good measure, here's the General Merchandise Store from an undated "Blackhawk Films" souvenir slide. 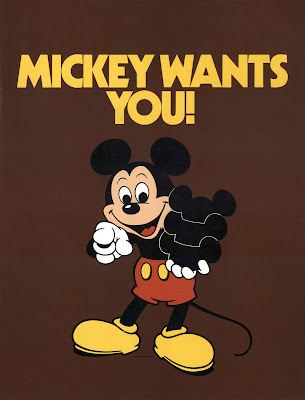 Your Role with Disney & Mickey Wants You! 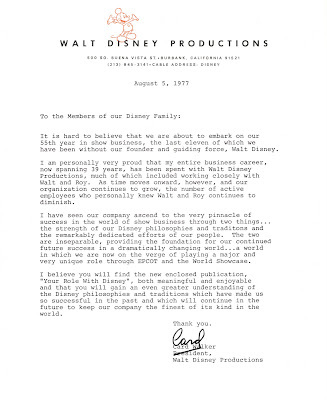 On August 5th, 1977 Card Walker sent this letter to the Members of the Disney Family. I think it’s a “welcome” letter, but it doesn’t really come out and say that. 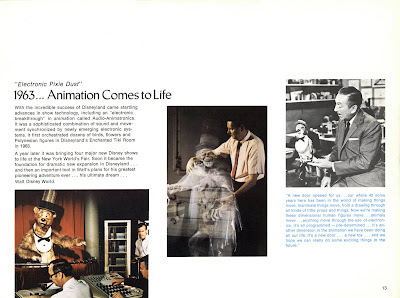 “Your Role with Disney” is a nicely produced 24 page brochure. Again I can’t tell if these are for new or existing employees, probably both. 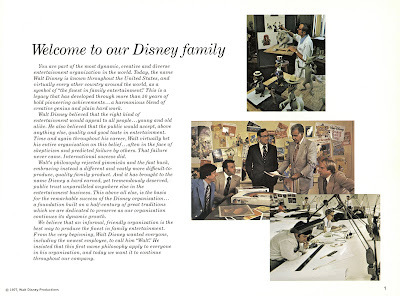 Disney looked like a great place to work; I wonder if it still is? Come back on Bonus Sunday for the entire Brochure. Also included with the Card Walker letter & Your Role brochure are 9 photocopied pages with some interesting facts. You can down load the 9 page .pdf file here (9 pages - 8mb). 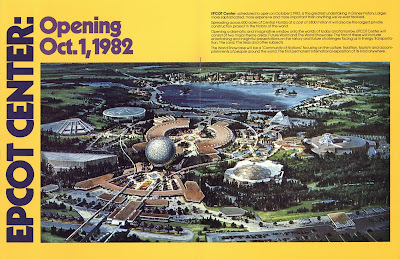 This Brochure is not dated but must be newer than 1977 as it predicts EPCOT’s opening (correctly) as October 1, 1982 or did they know that five years ahead of time? This brochure is a glossy high-production value deal, the paper feels like it’s made from sheets of vinyl. 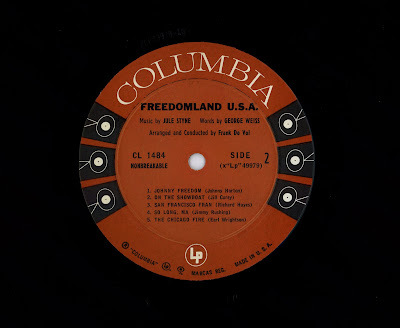 How about some more Freedomland? 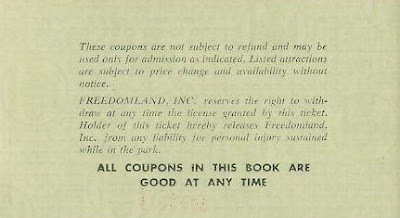 Jed over at the somewhat dormant but always excellent blog “Vintage Disneyland Goodies” sent in these awesome scans of some Freedomland Tickets – Thank you Jed! The tickets are on Globe Safety paper, similar to Disneyland’s but the pattern looks a little different. 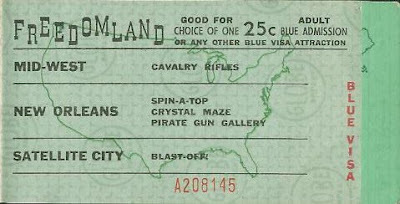 The tickets are colored "Visa's" instead of Disneyland’s lettered "Coupons" (Which Knott’s copied, in reverse order, minus the “E”, but I digress.). 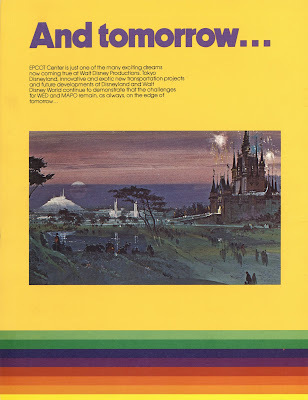 The back is very similar to Disneyland also, except I see Freedomland had a release of liability for any personal injury sustained while in the park, a result of the stage coach accident possibly? Thanks again Jed for these scans! 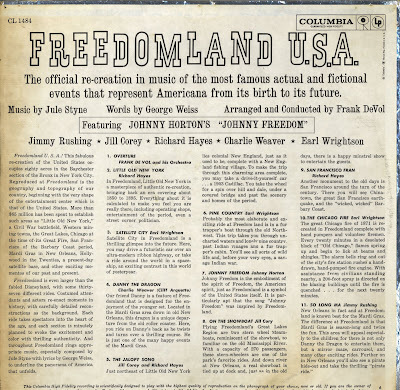 Jed's great contribution got me in the mood to play and record the Freedomland LP, just listing to the LP got me feeling better, what a time capsule. 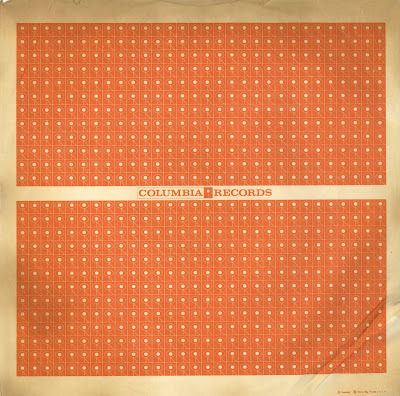 The LP is not dated, but several sources date it as 1960. 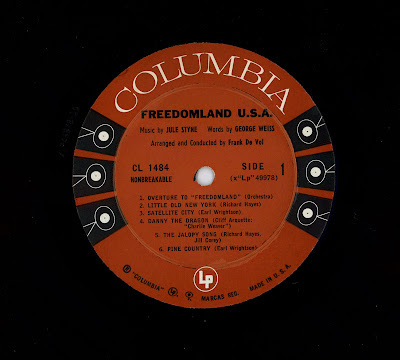 1960 is the year of by Johnny Horton’s “hit” that’s the first song on side two - “Johnny Freedom”. It’s excellent as is most of the LP. The LP has its high and lows, the Chicago fire sequence at the end of side two is a total downer. “Ashes and black earth are all that remained, nothing standing, nothing growing, nothing green remained” fun times. 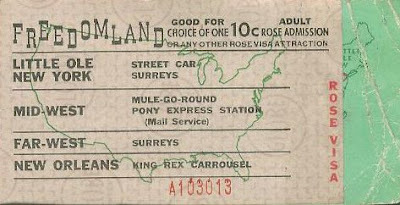 Welcome to Freedomland U.S.A. As if Freedomland itself wasn’t a complete and blatant copy of Disneyland, even the ticket book was quite similar. This rare book is missing the tickets (anyone have any????) 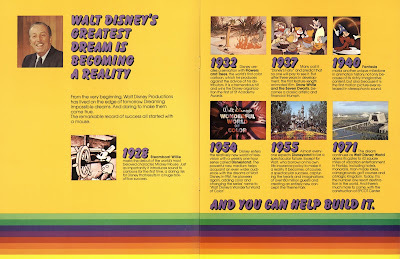 but you can still see the obvious resemblance, even the “Welcome to” font on the front message sheet is the same as Disneyland’s! No mysterious date codes here, in fact, no date at all! 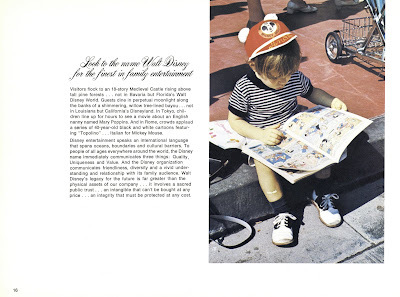 The price for a child book is right in line with Disneyland’s early 1960’s pricing. New York City Amusement Tax? New York is about as amusing as Los Angeles. 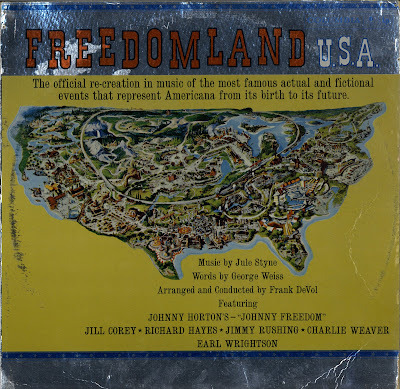 My vintage collection is VERY light when it comes to Freedomland. I’ve got the ticketless book you see above, I’ve got a great 16mm amateur home move from 1961 that you’ll see someday, and I’ve got this neato record. This LP was actually still sealed and yes I just removed the 50 year old shrink-wrap and it felt great, if not a little crispy. 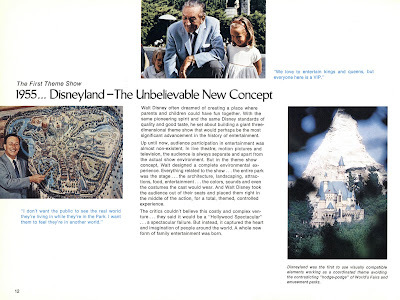 They claim Freedomland is even larger than the fabled Disneyland. 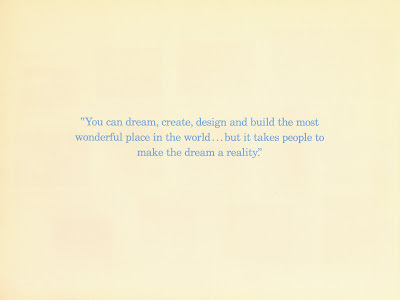 Maybe, but where are you now Freedomland? 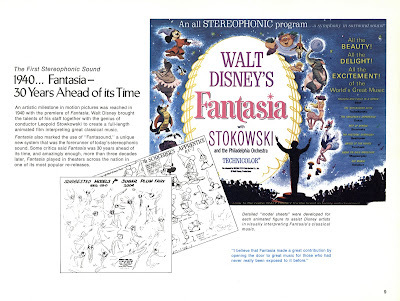 Apparently the music on the LP is the actual music that was heard on each ride. 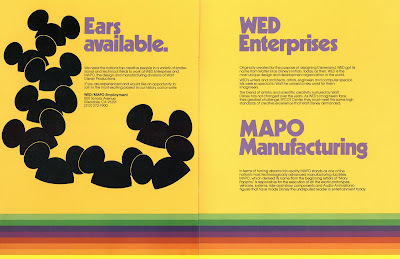 I love this inner sleeve - it's all in the details. The LP itself is in fine shape, having never been played. It doesn’t appear to be warped or damaged. I would have recorded the LP for you, but I’m feeling a little under the weather (cue the violins) so it will have to wait until Bonus Sunday. How about a “Fun Party”? 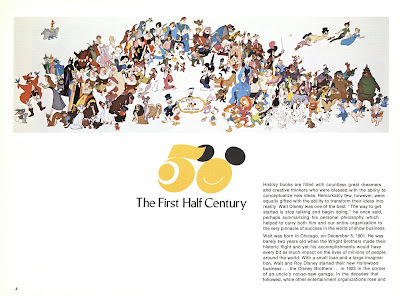 Exclusively for all of you San Diego County Families, January 25, 1974 is your private party night at Disneyland. Private parties are great, usually low crowds and short wait times; however San Diego County is pretty big! Look who found their "Happy Place" in the tea cup! Free parking too! Refund will be allowed on if cancelled due to inclement weather? That will never happen at Disneyland (link). 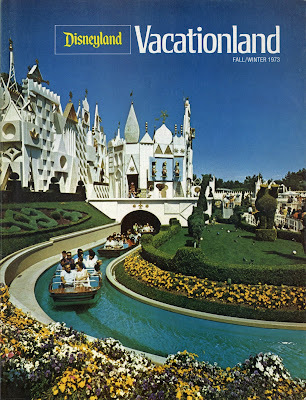 Here’s the cover to a mint condition Vacationland from Fall/Winter 1973-74. 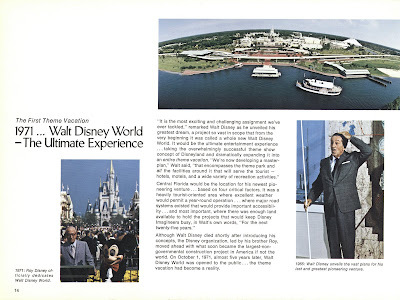 This photo also appears on the Fall/Winter 1973-74 Disneyland in park Guide (future link, I haven't posted it yet!). The Wildest Show indeed, sorely missed. 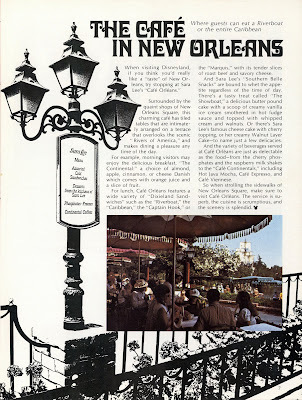 Sara Lee was the sponsor for Café Orleans, I never knew that! 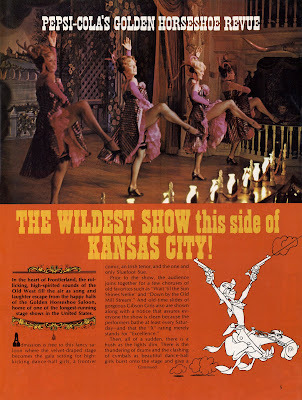 “The Showboat” dessert sounds yummy – “a delicious butter pound cake with a scoop of creamy vanilla ice cream smothered in hot fudge sauce and topped with whipped cream and walnuts”! I see the practice of putting a sign up listing the food with no prices isn’t new to the park. I guess if you have to ask, you can’t afford it. 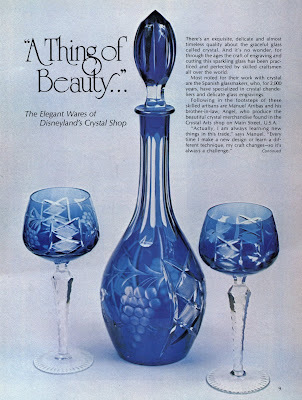 Is there still a crystal shop on Main Street? Oh boy, I should know this, having loitered about on Main Street for hours on end. I’m going to say yes; at least I know they sell fragile glass type things somewhere on the east side of Main Street. Welcome to Magazine Monday. 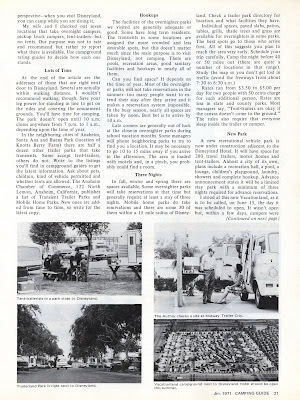 From deep down in the obscure stack it’s the January 1971 issue of Camping and Trailing Guide. 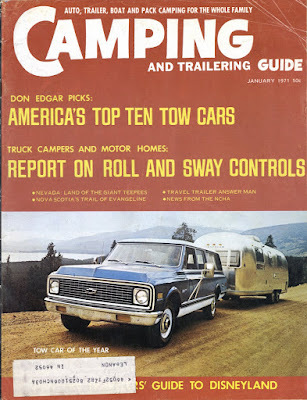 Nice 1971 Chevy Suburban, I bet it’s got a 454 with the LS5 option; 365hp – 850cm carb, dual exhaust – pulling that trailer you’d get about 6mpg, maybe. 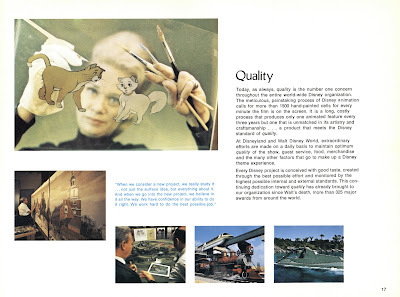 An RV Traveler’s Guide to Disneyland is an odd article. 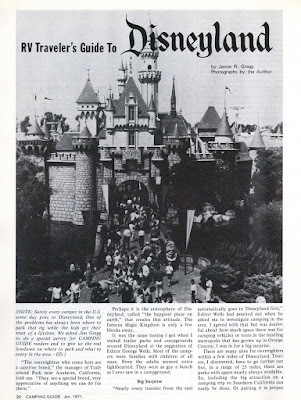 I hope you enjoy this picture of the Castle; it’s the one photo of Disneyland in the entire article. 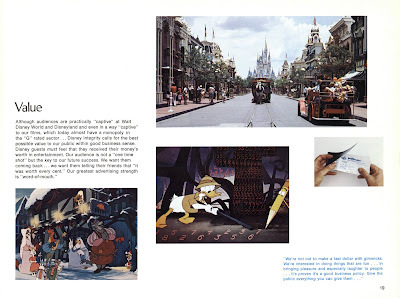 As you’ve probably guessed, this article has very little to with Disneyland other than telling you it doesn’t open until 10am. Trailerland at 1211 S. Harbor Blvd is now a hotel (map). 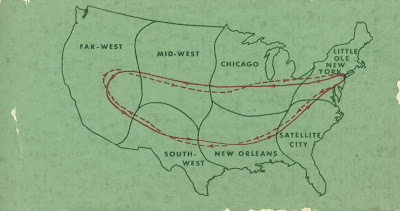 Lots of talk about Vacationland (nice name!) 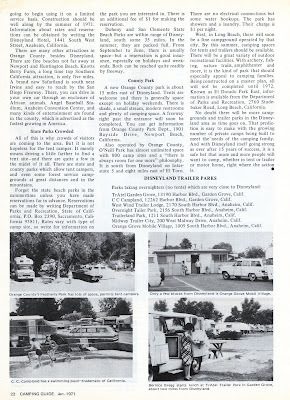 campground opening in the summer of 1971 at 1441 S. West Street, which is now 1441 S. Disneyland Drive and is part of the Disneyland Hotel parking lot (map). 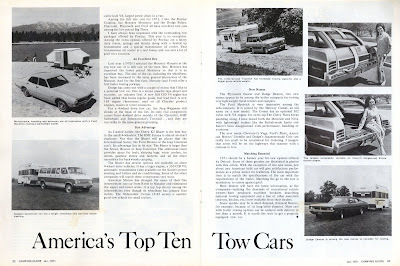 The Cover story is all about America’s Top Ten Tow Cars, no Toyota Tundra’s in 1971! I’m am loving that Two door Pontiac Catalina. Check out Chevy’s Disappearing Tailgate! 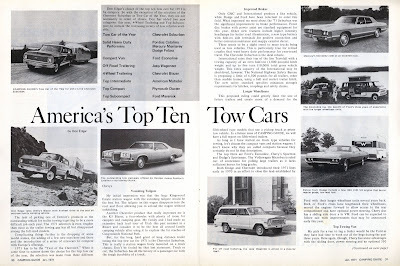 I had one of those Clamshell station wagons (GM produced them from 1971-76) mine was a 1976 Buick. The Glass slid up in the rood and the tail gate slid down under the floor, all at once with the turn of a key. 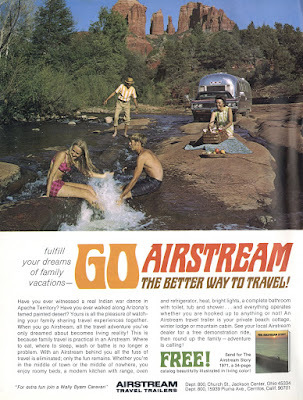 How about a few vintage Camping/Travel Advertisements? 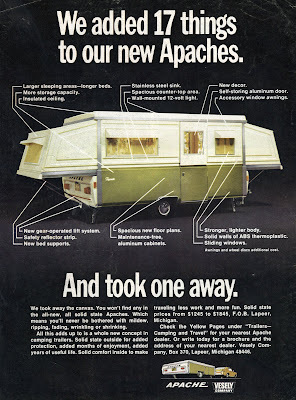 Airstream Trailers always seemed so cool to me, very purpose built. However, I’m not sure you should drive it up that close to the river! That area looks familiar? Here’s a photo I took in October of 2003 at Slide Rock, which is part of Oak Creek Canyon just north of Sonoma Arizona. If you turned around in this photo it looks remarkably similar to the Airstream photo above. Those fold-away campers always seemed flimsy to me. The “bed supports” don't look very strong. 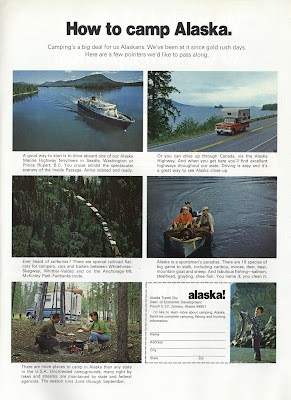 Alaska looks like Camper's Paradise!